Today, the World Cup starts, and for the next month, I, like many, will attempt to shut off and ignore absolutely everything around me that does not concern the World Cup. So why does Antoine Griezmann think he can just kick open the door while my eyes are glued to Russia-Saudi Arabia on Match Day 1, and become center-stage with his announcement video? Antoine, we get it. You’re a phenomenal athlete who’s about to make a huge decision about his future, but you are neither entitled to nor deserving of an announcement video. You aren’t the most exciting player in the French squad–that would be Kylian Mbappé and Ousmane Dembélé–or the most successful French player, that would be Raphäel Varane, who has won four Champions Leagues in five seasons with Real Madrid. Oh, one more thing: Varane is younger than you by 25 months and 4 days (2 years). Oh, and another thing: he’s knocked out Atlético Madrid, your current team, in four of the past five years. If any of those players decided to leave their current clubs, they wouldn’t announce it with a dramatized announcement video. Mbappé and Dembélé changed clubs last season with a standard procedure and announcement. Varane, if he ever does part ways with the most successful team of this era, would do it the same way, as suggested by his calm demeanor. Which begs the question: why does Antoine Griezmann feel entitled to announce his decision to either stay at Atlético, or leave, with a video? 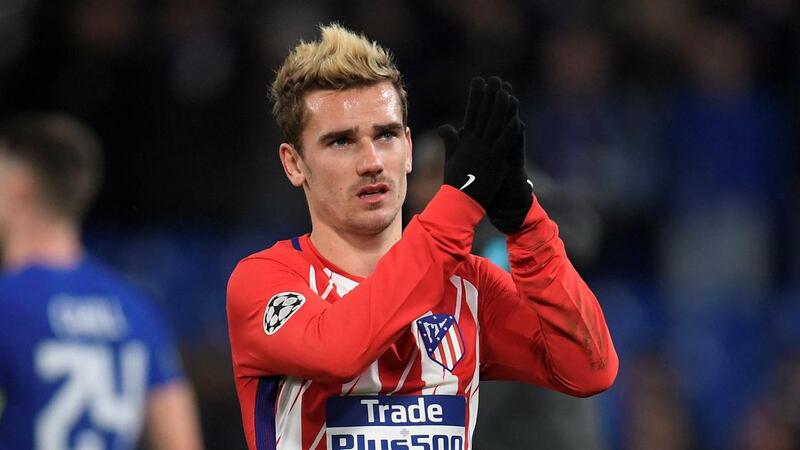 Griezmann will announce his decision to stay or leave from his Twitter account today, after releasing a promotional video from his mansion hinting at the decision. He has recorded two separate videos: one saying he will stay, one saying he will leave. Evidently, he has still not yet made his mind up, despite keeping the general public waiting for so long. Perhaps, when he rolls out of bed this morning, he will have made his decision. Griezmann’s decision to announce his decision via a decision video (meta-decision) hails from Lebron James’ 2010 “The Decision,” in which the basketball player announced his decision to leave the Cleveland Cavaliers via an hour-long ESPN special. The decision was a publicity disaster for Bron, perhaps the only PR nightmare “The King” has faced in an otherwise spotless 15-year career. If Lebron couldn’t pull it off, there’s no way Griezmann can pull it off either. The proceeds from Lebron’s $5.8 million TV special were donated to the Boys & Girls Clubs of America and other charities (not like anyone remembers, they only remember getting the taste of cringe out of their mouths after that trainwreck of an announcement). Griezmann’s announcement video will not be announced on ESPN or any network (he isn’t on that level of importance, and this is, after all, the start of the World Cup). Instead, he will announce it on his Twitter account, and as far as I can tell, there will be no charitable donations based on the amount of views or retweets the video gets. The best of the best can be histrionic, flashy, and over-the-top, but there is a price you have to pay. You have to back it up, and walk the walk. Zlatan may be arrogant, but he still dominated every league he came to, spent a decade at the helm, and to this day, is still one of the most marketable players in the sport. Ronaldo is arrogant, but he’s won as many Champions Leagues as both Barcelona and Liverpool have. Lebron isn’t arrogant or flashy, but he could if he wanted to: before the much-maligned “The Decision,” Lebron led a piss-poor Cavaliers team to the NBA Finals, won two MVP awards, and established himself as the best player in basketball. Griezmann, on the other hand, carries almost as many doubts as answers. Sure, he’s a proven, elite-level goalscorer, but can he get it done in the finals, when the headlights are streaming down on him? Perhaps his brace against an injury-depleted, flimsy Marseille unit in last month’s Europa League Final answers some of those questions, but there are still concerns about whether the 27-year-old, who has not won any domestic or international honor apart from the Europa League, has the ability to decide the biggest matches by himself. Lebron James could’ve announced his decision to build a super-team with Chris Bosh and Dwayne Wade in Miami in a less dramatic fashion. He could’ve, and should’ve, notified the Cavs organization of his decision to leave, and then issued a press release thanking the Cavs fanbase for their support over the years. Had he done this, the divorce wouldn’t have been so sour. Cavs owner Dan Gilbert would not have written this letter , which would sow the seeds of mistrust for a relationship which would never recover to full functionality. Cavs fans would not have felt the need to burn the jersey of the greatest player their team has ever laid eyes on, and fans from all around the league would not have felt so deceived. The relationship between Lebron and Cavs fans was never the same until he miraculously brought home the Larry O’Brien trophy for the first time in franchise history. Still, those videos of Cavs fans burning their Lebron jerseys still exist on YouTube–they don’t fade from consciousness like the disgusting, egotistical vibe of “The Decision” did after Lebron won his first two championships in Miami. While it may have been started with good intentions, it came across as anything but wholesome. Antoine Griezmann, a noted basketball aficionado, intends to follow Lebron’s lead with #TheDecision today. Perhaps he will even go one further in his attempted mimicry of Lebron, and win a few titles with a superior team in FC Barcelona. Perhaps he will finally establish himself as an indispensable leader of a team, one who gets it done in the toughest moments. Until then, Griezmann’s hubris and cringeworthy marketing skills will not and should not deter football fans from eating up the main course of today: the World Cup.